The 2015 edition of Poltergeist would be a decent horror movie if it didn’t already exist. There’s the 1982 edition, for starters, a masterful collaboration between Steven Spielberg and Tobe Hooper that sends a suburban family through the haunted-house wringer. 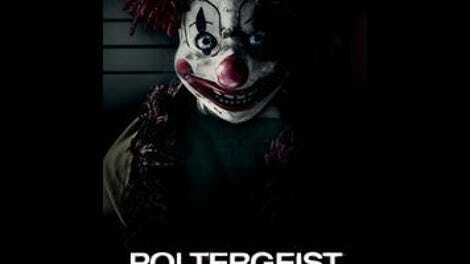 But the new Poltergeist also recalls James Wan’s Insidious and any number of other recent cinematic hauntings, with the usual little kids talking to unseen entities, electronics going haywire, creepy-looking toys, paranormal investigators acting slightly wacky, and cheap but effective jump scares. Though Rockwell and DeWitt give the material their own likable spin, most of the story mechanics will be familiar to anyone who has seen the original Poltergeist. Kenan’s film does try its hand at some economic recontextualization; Eric has just been laid off, and the family itself is downsizing into a less desirable suburban neighborhood, a somewhat-ragged development that another character implies was a more popular destination in the ’90s. But the movie never travels much further down that road, and as it goes on, its tweaks to the original story get lighter, sometimes borderline wispy. There’s the brief and eerie novelty of seeing analog static invading the screens of digital gadgets; some rejiggered outside help in the form of Carrigan Burke (Jared Harris), a paranormal investigator from one of those cheesy cable shows; and the briefest of forays into de facto found footage involving a camera-mounted toy drone. When the scares start, Kenan does stage them with some spook-house brio. The first big paranormal attack around the film’s midpoint cuts between three different ghostly threats (one for each kid), the camera whooshing around like a slower-paced Sam Raimi picture. But the same-but-different climax lacks the urgency of the original Poltergeist—which, in the end, the newer film can’t outrun. Taken on its own, this one does offer some respite to the recent spate of gloomy exorcism movies; though his film is more technically proficient than truly scary, Kenan has a clear sense of fun, harkening back, again, to ’80s Amblin movies. But the most retro thing about the remake is its specific, outdated utility: If anyone still patronizes video stores with hard copies, and if those stores don’t happen to have the original Poltergeist (or Insidious) in stock on a Friday night, this version might do the trick.